West Ham 1-0 Chelsea: Lack of tempo and ideas as Chelsea blow it at the London Stadium. 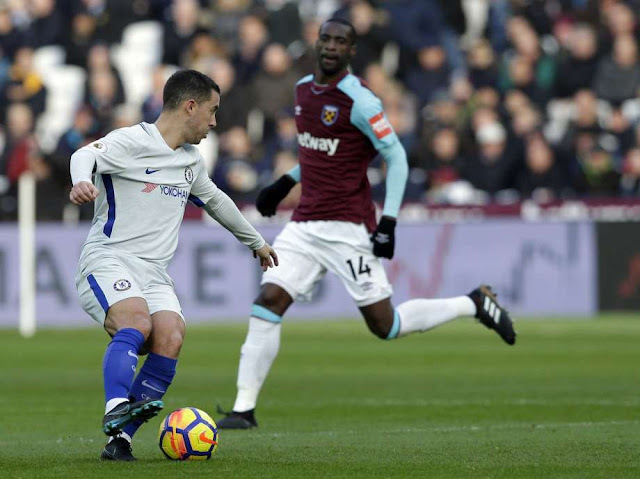 Chelsea blew an excellent opportunity to close the gap on league leaders Manchester City with a defeat to West Ham and not for the first time, demonstrated a real lack of ideas in the final third. Antonio Conte and his team need to work on our play in the final third against sides that on paper are inferior to us and will set their stall out to defend deep in numbers. Crystal Palace did it and now West Ham have done it and it has cost our title defence big time. We can only hope tomorrow is a draw because if Manchester City win the game, a FOURTEEN point deficit would end our title challenge this season. I had called for Antonio Conte to make changes to the starting eleven and to our tactical shape to really take the game to West Ham who I believed to be still trying to find their way and identity under new manager David Moyes. I wanted us to play 3-4-3 and give Willian and Pedro the start so we play on the front foot from the start. Unfortunately, that failed to materialise with Conte making just a single change with Davide Zappacosta reverting back to the right-hand side and Marcos Alonso back in on the left. We stuck with the 3-5-2 formation and we expected to dominate the game early. Credit to West Ham that never happened until at least a quarter of the way into the game. 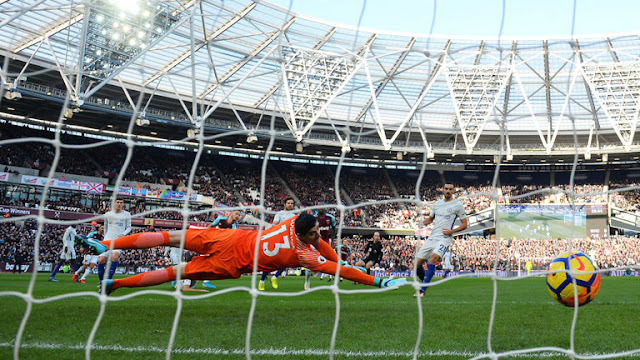 West Ham started on the front foot, pressed us high and took the game to Chelsea. They forced mistakes with our passing, put pressure right up to our back three and they were the ones dominating. Chelsea could not get started at all. The goal that won the game, holding our hands up, was a good one. Andreas Christensen who had a shaky first half, found himself turned by Marko Arnautovic as he plays a one-two, receives the ball back and is in perfect position to curl a left foot effort into the bottom corner giving Courtois no chance. Almost from that moment, Chelsea kicked into gear and through the first two thirds of the pitch looked more than comfortable, moving the ball around and dominating possession. The problem we have was the final third. Our wing-backs would push right up to the West Ham defence, joining Eden Hazard and Alvaro Morata. Hazard would drop off to get the ball but when he received it and turned to look for that killer pass there was no option of anyone in space. I'm sorry to say but that was exactly what happened for the remainder of the whole game. Inside the last ten minutes as the West Ham players tired through their excellent efforts to defend a priceless lead, Alvaro Morata and Eden Hazard missed golden opportunities to score and you have to say it wouldn't have been warranted through a real lack of cutting edge. 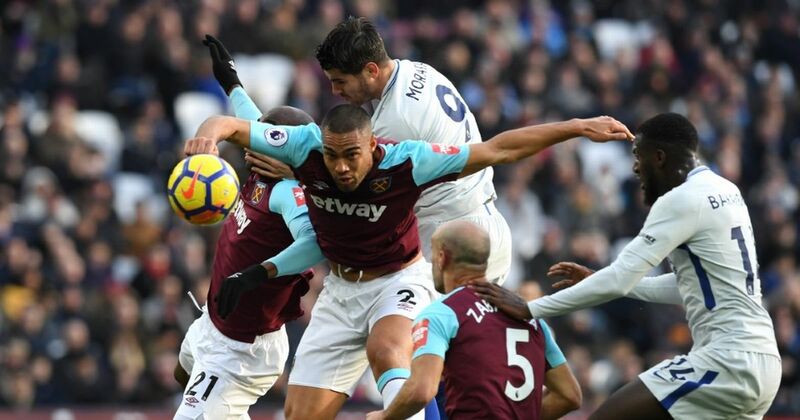 Don't get me wrong here, I would have taken anything at that point but it speaks volumes that Adrian in goal had hardly anything to do for the most part. Chelsea and Antonio Conte have blown it this afternoon and there is no other explanation other than that for me here. Yes we had players that played well but football is all about creating chances and putting that ball in the back of the net. West Ham did it once in the whole game and it cost us. A lack of ideas, a lack of cutting edge and a lack of rotation to freshen up our starting eleven has cost us today. Congratulations to David Moyes and his hard-working West Ham side - we simply didn't do anywhere near enough to beat you.